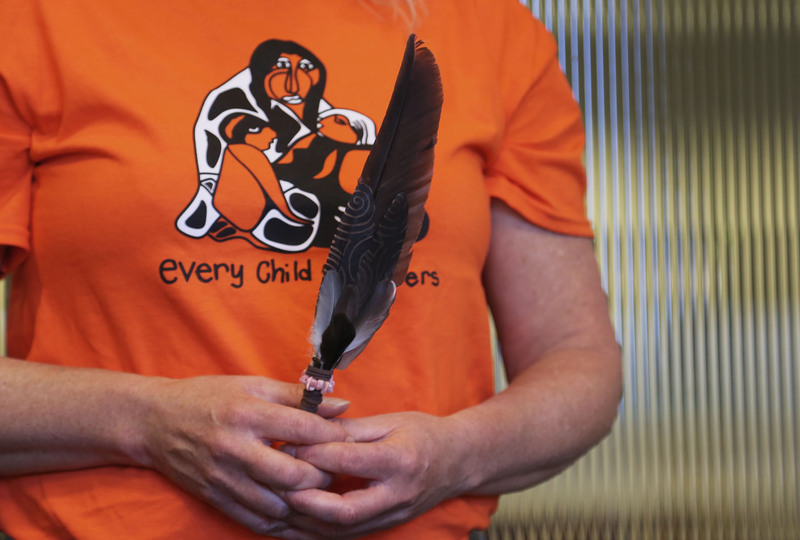 Today, our staff participated in Orange Shirt Day and attended a facilitated workshop and discussion on reconnecting with our stories and values as a way to understand our shared histories and diversity. Facilitated by staff members Amber Crey, Anna McKenzie and Teyem Thomas, our team learned about the values that inform acknowledging the territory when we are in community. We hosted this event in the spirit of creating space for the histories and values of Indigenous people, namely those who have been impacted by the Indian Residential School system.